We see a product advertised on TV, we find that product online, and then we purchase the product without doing any further research. If this sounds too easy, that’s because in the vast majority of cases, it is. Case in point? Only 2% of customers buy on their first visit to a website. Shoppers have moved beyond the behavior predicted by the traditional marketing funnel, and the customer’s path to purchase has become more of a winding road, with many more points of entry and exit. So if the customer falls off their path to purchase, how can businesses develop a customer journey map that helps them find their way back? The answer lies in leveraging your proprietary data to account for the “the three C’s”: create, capture, and calibrate. First, companies need to create cross-device consistency and usability to allow customers to move between devices; 67% of consumers report moving sequentially between devices for the purpose of online shopping, and 98% of those switch between devices in a certain day. Drilling down further, 65% of consumers begin the path to purchase on a smartphone, and 61% of those continue on a PC/laptop, while 4% continue on a tablet. Customers expect their experience between devices to be seamless, and if your website isn’t responsive across different devices, you’re losing potential customers. Two out of three smartphone users say a mobile-friendly site makes them more likely to buy a company’s product or service, and 74% say they’re more likely to return to the site if it’s mobile-friendly. Your business’s cross-device solution, therefore, is to build a responsive e-commerce site and market across devices. Next, companies should capture customers’ attention fast—and keep it. The typical consumer today only has an attention span of eight seconds. If your website takes too long to load, it doesn’t matter if it’s perfectly designed to showcase your incredible product. The response time on your website has a direct effect on how your customer feels towards your brand. A response time of 0.1 seconds gives customers the feeling of instantaneous response and gratification, while a one second or less response keeps the user’s flow of thought seamless; users can sense a delay, but they still feel in control of the experience. A one-to-five second response, meanwhile, makes users feel at the mercy of the device, and they often become distracted, making it harder for them to get back on track once the device responds. For instance, Firefox noticed that when their site loaded one second slower, they saw a decrease in conversions by 2.7%. Similarly, Bing and Google found that a delay as small as 0.4 seconds reduced people’s usage of those sites on that visit and in future visits. Finally, Amazon reported that a 100 millisecond increase in speed was correlated to a 1% revenue increase. Your solution? Develop content that loads quickly, and test your site speed across devices. Finally, calibrate your site for customer aperture—that is, catching the customer in the right mood and at the right time of day. Some variables that affect a customer’s aperture include their location, attitude, goal, available time, and whether it’s spontaneous or planned purchasing. 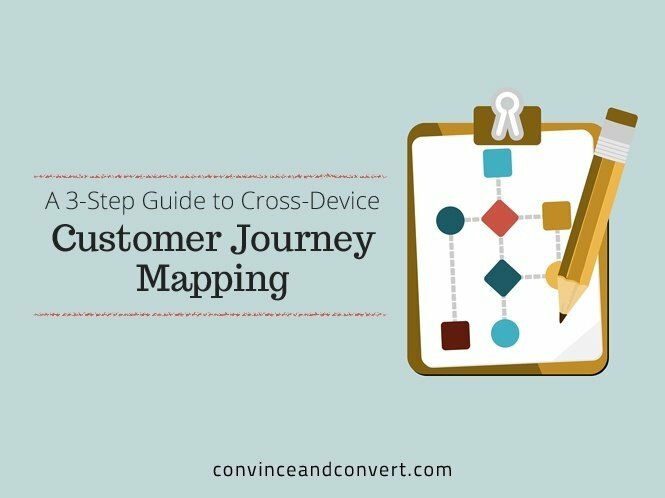 The devices your customers use are related to their goals, locations, and other variables. For example, eight out of ten purchases made on a smartphone are spontaneous, compared to six out of ten purchases made on a PC/laptop. Similarly, 60% of purchases made on a smartphone were made at home, while 85% of purchases made on a PC/laptop were made at home. Today, real-time marketing means systematically responding to your customers in the moment, so it’s crucial that you know how your customer interacts with your brand on any channel. Customers respond to your real-time marketing efforts; 61% of consumers are more likely to buy from a company that delivers customized, real-time content, and real-time marketing increases conversion rates by an average of 26%. Calibrate your site by taking advantage of your company’s first-party data, and use real-time data to personalize your site for your customers’ desires and interests. The customer journey is circuitous, but by creating, capturing, and calibrating, you can ensure your customers reach their destination. Want to learn more about how a single view of the customer can help you better understand the customer journey? Download the Single View of the Customer ebook. Laurel Wamsley is Marketing and Communications Manager at Signal, and the editor of Signal's blogs. She worked previously at the University of Chicago, Rackspace, and NPR.